In marketing, the two things that matter most are traffic and conversions. That's because  to earn a profit  you must get VISITORS to your website... and then turn them into BUYERS. I provide professional marketing services designed to help you sell more of your products and services. When you hire me to write your sales copy, I'll craft a properly structured sales letter (tailored especially for your product or service) that covers all the essential elements of persuasion  for MAXIMUM results. Plus... I also provide essential MARKETING SERVICES and guidance. 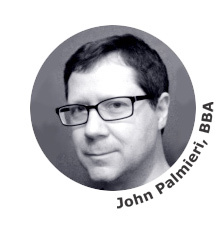 My name is John Palmieri and I began my study of marketing and copywriting many years ago in college, where I earned a bachelor's degree in business. I've studied master copywriters and marketers such as Schwab, Hopkins, Caples, and many others in-depth. And I continue to obsess over marketing to this day. Over the last 9 years, I've helped hundreds of marketers, entrepreneurs, and small business owners. And I'd like to help you, too. So, if you want more sales and bigger profits, I can help. When I create sales letters, or provide other marketing services, I don't cut corners. My goal is always to obtain the best result possible. To get a mule to walk up a hill, you could try to use "force" by pushing it... or you could dangle a carrot in front of it so it "wants" to walk. That's why professionals work to make people "want" to buy. Amateurs, on the other hand, commonly try to "trick" or "pressure" people into buying. But, in today's highly-skeptical world, that raises "red flags" in the prospect's mind... often crushing any chance you had of making the sale. For exaple, having poorly-written sales copy is like sending out a second-rate salesperson... you'll end up losing sales and "leaving money on the table." On the other hand, good marketing pays for itself... over and over again. And, even though you're probably an expert in your specific field  I'm an expert at marketing and copywriting. This is the age of specialization. Trying to go it alone with your marketing won't SAVE you money  it will COST you sales. Professional marketing requires skill, knowledge, effort, and experience.  Copywriting: If you need a sales letter (or copy for your website), I can write it for you... as I've done for hundreds of clients over the past 9 years. I produce both conventional sales letters and video sales letter scripts (VSLs).  Sales Page Design: Every business needs an effective sales page. It is essential. Your website is the central "hub" for most of your marketing efforts. If you don't have one, I can build it for you.  Email Marketing: Email is a CRITICAL marketing tool for EVERY small business. I can write your email series. If you're not building and mailing your email list, you're losing money.  Consulting Services: Sometimes it's hard to solve business problems because you're too close to the issue to spot the problem or be objective. I can provide the marketing guidance you need to succeed. I'll perform your work in a reasonable amount of time  but I won't sacrifice quality by rushing it. I pride myself on doing quality work and providing great service. "I ordered a second sales letter from John, because his first one has converted very well. And, just like the last time, the sales letter he delivered was awesome! Not only does he write great sales letters, he's also extremely easy to work with. He constantly kept me up to date as to where he was in the project, and delivered it in the time frame he quoted. I know I'll be using him again." "I had 2 projects to take care of so I hired 2 writers. John from Persuasive Sales Letters and another copywriter for hire who I will not name. The 'other' writer sent me a questionnaire as did John. John continued to communicate with me, asking intelligent questions, checking facts, etc. I had to email the "other" copywriter to ask if he got my questionnaire. We barely communicated. The 'other' writer delivered first. A sales letter that didn't represent my product, contained a BS story I can't stand behind and clearly showed he did not even review my product. John delivered a few days later. Absolute perfection." "I have to tell you honestly. I've never been happier with a writer before. I've never had such great copy, and I'm so pleased with the results of the sales letter. Thank you John for the great work. I'll definitely be using your skills again." "I badly needed a sales letter for my new product. I chose John because of the great testimonials he has received. Working with John was a pleasure. He is professional, helpful, and he went beyond the strict remit of writing me a sales letter. He gave helpful advice on how to improve my campaign and maximize my chance of success. The sales letter itself was top-notch. He weeded out the unique features of my product and I'm proud to have it on my sales site. I would not hesitate for a moment to use his services again in the future." "I just wanted to say thanks for all the hard work. The letter is great  it's working well. Working with you was a pleasure. I was scared of ending up with some generic sounding page but that definately is not what I got. I would work with you again  no problem. Many thanks for the work you've done." "John, we just wanted to let you know how rapt we were in the excellent sales letter that you did for us. You took what was a convoluted series of thoughts and ideas that we had about our product and turned it into an accurate, easy-to-read, and enticing piece of copy. Not only that, but you also turned your hand to helping us make sure that the look and feel of our sales page was appropriate to the story being told. Your attention to detail was fantastic as was your attitude to customer satisfaction. The service you provided was outstanding and we will look to call upon you and your skills again in the near future." The new sales letter you wrote is absolutely fantastic  top job. Thanks a lot for all the help and advice you've given me and, of course, for the finished sale letter. It's exactly what I wanted and needed." As you can see, my customers are very HAPPY with my work. And I think you will be, too. "I never provide services or sales copy that I wouldn't be happy with if I were the customer." And that's why I work hard to deliver quality sales copy, helpful marketing services, and expert consulting advice. The first step is to simply e-mail me at PersuasiveSalesLetters@gmail.com and tell me a little about your business and the services you're interested in. After I hear from you, I'll get back to you with all the details. I look forward to helping you improve your profits. Copyright © 2019 PersuasiveSalesLetters.com. All rights reserved.